The only real April Fool is the person who isn't keeping track of the latest songs, videos and albums popping up daily in our Music/Video. In case you haven't been, worry not; to save you the embarrassment, we've wrangled the most popular tunes and clips from last week so that you can catch up. Below, see and hear what was burning up the web these past seven days. 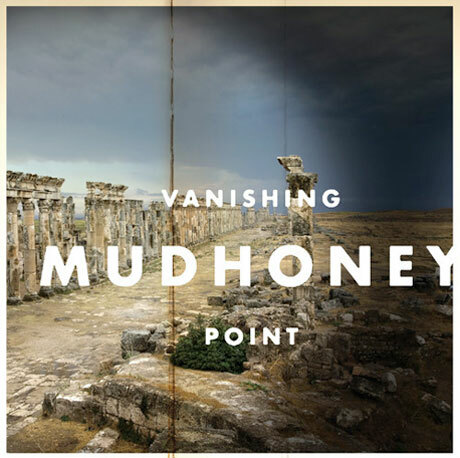 Grunge vets Mudhoney will release new LP Vanishing Point tomorrow (April 2), but until it drops, we've been streaming the whole thing for hungry fans. A press releases notes that it features "songs written from the rare vantage point of a band who went through the rock'n'roll meat-grinder and not only lived to tell such a tale, they came out full of the wisdom and dark humor such a journey provides." Meanwhile, Tim Holland, aka Sole offered up a free track, titled "People Piss Me Off," to tease his upcoming full-length, No Wising Up No Settling Down, and metal vets Killswitch Engage offered up Disarm the Descent, streaming in its entirety before it hits shelves April 2. Then, there's the NSFW music video for "Year Zero" from Ghost B.C., which gives you a little peek at what is underneath the metal crew members' cloaks, and finally, Daft Punk, whose second 15-second sample from their new upcoming album Random Access Memories set fans' tongues wagging for their first album since 2005.